That is the best advice I’ve gotten in a long time. How many of you have ever been told that your standards are too high? That your expectations are too high? It made me feel like there was something wrong with me. And it made me second guess myself. Like maybe I did want too much. This caused me to feel a bit disconnected from myself. I thought, maybe I don’t know what I want. Or that I am being unreasonable. You might be able to relate. Sit tight and read on. Your standards are not high. They are yours. If someone thinks your standards are high, don’t take it personally. * They are just YOURS. Everyone has their own standards. Whatever they are is fine. There is no such thing as high standards. 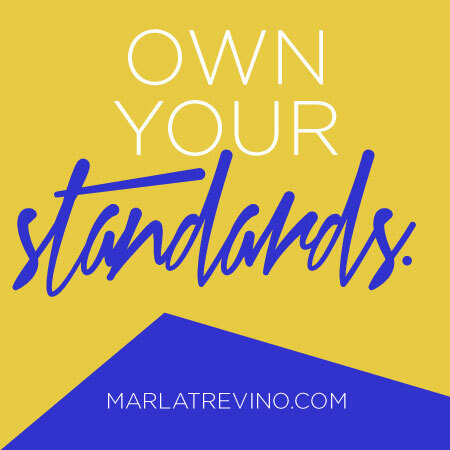 When my mentor (Lisa Fabrega) said own your standards Marla, I felt a little lighter. Just like that, a simple shift in perception made it ok to be me. This sounds SO obvious, I know. I thought so too when it happened. I SHOULD know this. I do know this. But for some reason sometimes it’s hard to see the obvious and sometimes I forget. So surround yourself even more with people who don’t judge you for wanting what you want. It’s always a good idea to kick it with people who will celebrate your wins. Support you when you doubt myself. And accept you for who you are. High standards are just standards. There is no high or low. 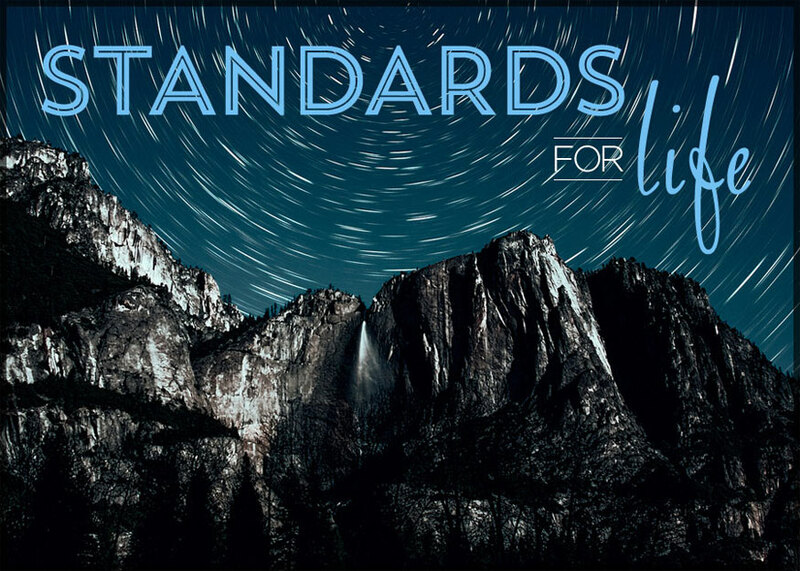 Do you feel like you’re not meeting your standards? All you need is a little recalibration. (you know like when you change out your printer cartridge.) It happens. Things get a little out of alignment and it just needs the push of a button to get it straight. Set asides 30 minutes and write down what you want without apologies. In life, love, and business. Set your standards. And then own them. How does that make you feel?